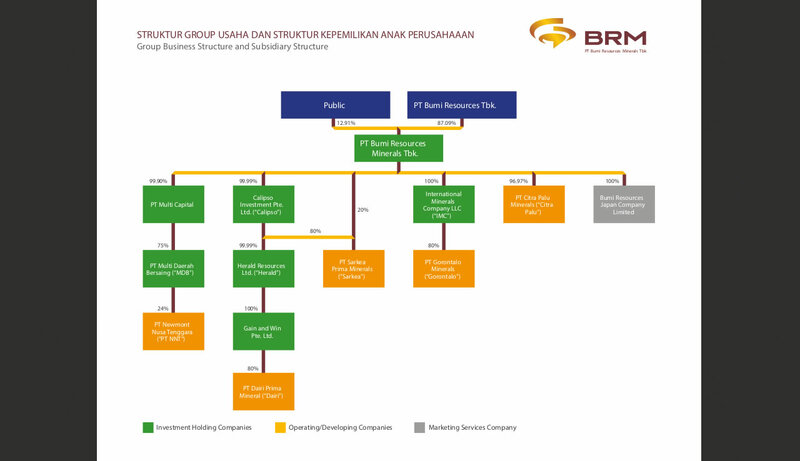 PT Bumi Resources Minerals Tbk. 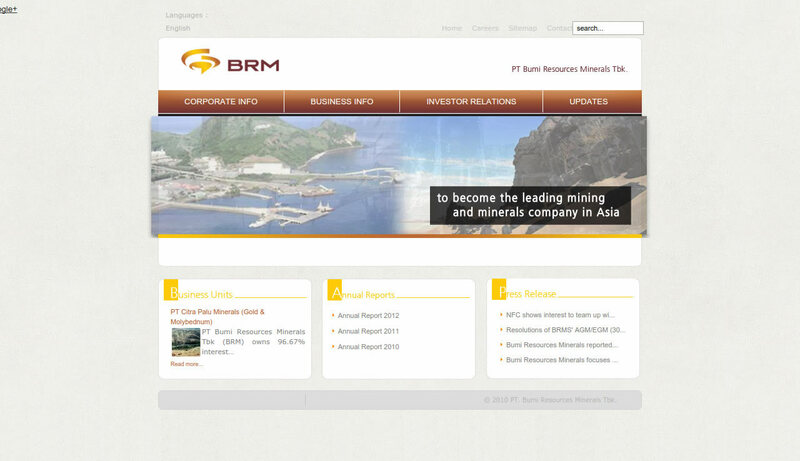 BRM is incorporated in Indonesia and operates various non-coal mineral projects in Indonesia. BRM has a diverse portfolio of minerals, including copper, gold, zinc, and lead and holds secured of tenure for its exploration and development properties. Given the strong commodity demand in the medium to long term, BRM provides a unique opportunity to be part of a diverse mineral company. The management team has sound business experience in resource development and operating activities. BRM strives to deliver positive results and add value to its stakeholders by monetizing its reserves into commercial production.